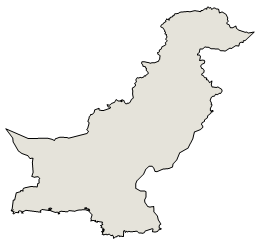 Pakistan, an impoverished and underdeveloped country, has suffered from decades of internal political disputes and low levels of foreign investment. Between 2001-07, however, poverty levels decreased by 10%, as Islamabad steadily raised development spending. Between 2004-07, GDP growth in the 5-8% range was spurred by gains in the industrial and service sectors - despite severe electricity shortfalls - but growth slowed in 2008-09 and unemployment rose. Inflation remains the top concern among the public, climbing from 7.7% in 2007 to more than 13% in 2010. In addition, the Pakistani rupee has depreciated since 2007 as a result of political and economic instability. The government agreed to an International Monetary Fund Standby Arrangement in November 2008 in response to a balance of payments crisis, but during 2009-10 its current account strengthened and foreign exchange reserves stabilized - largely because of lower oil prices and record remittances from workers abroad. Record floods in July-August 2010 lowered agricultural output and contributed to a jump in inflation, and reconstruction costs will strain the limited resources of the government. Textiles account for most of Pakistan's export earnings, but Pakistan's failure to expand a viable export base for other manufactures has left the country vulnerable to shifts in world demand. Other long term challenges include expanding investment in education, healthcare, and electricity production, and reducing dependence on foreign donors.